"The trip was fantastic as was my guide and driver, Paolo. There is so much to see..."
"Nice variety of sights - enjoyed historic and archaeological sites, Mt. 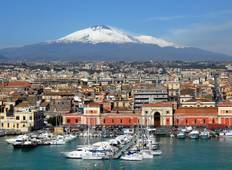 Etna, and..."
"Great tour for discovering Sicily. Everyday different Activites and Tours with lovely..."
"This was an "interesting" tour where guides are changed half way through. For the..."
"The tour to Sicily met my expectations..,this tour covered a lot and the history..."
"It was a good tour but there is room for improvements. The rooms were a bit tired,..."
"Guide excellent, some days long, evening meals disappointing. 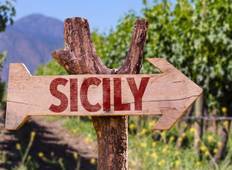 Would rather have pasta,..."
"My wife and I have just completed a private cultural tour of Sicily and archeological..."